I broke my phone! Is a common remark these days. There are many teenagers who have to deal with the issues of broken screen or body of the phone. The reason is that they are very careless. They will not pay attention to the phone while using it. Hence broken phone is what they get. The accident with phone is very common. There are more broken phones in the market than you can imagine. 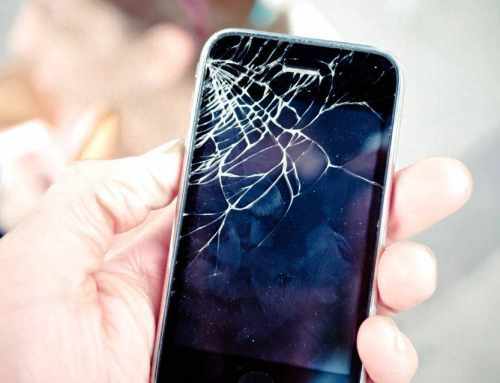 The common accident with phone that comes to mind is breaking the screen or water damage. However, here we have some strange phone accidents that will surely surprise you. We know that it is hard for you to believe that how can someone throw the phone under the bus. However, when karma happens you cannot control anything. Here are some of the ways your phone can end up under the bus. You are at the bus stop using your phone and someone pushes you from the back. Within seconds the phone will be under the bus and broken. You were changing the bus and your phone drops out of your pocket/purse an on the road. You accidently threw your phone out of the window of the bus and you know the rest. One of the most common phone accidents is the broken phone in the pocket. The surprising part is that no one is ready to believe it. However, you should know that phones are very thing. It makes them vulnerable. This is the reason when you will keep it in your back pocket, risks of broken phone will increase. Your complete weight will be on the phone when you sit. Even if the phone will not break, its screen will. The glass of the screen can enter your buttocks. It is better that you do not sit with your phone in your pocket. In the list of an accident with phone, phone slip is the accident that you have heard about many times. The phone often slips from our hand when we are dancing with the phone. Trying to catch something else when the phone is in our hand. Kids are the biggest culprits because they cannot properly hold the phone. The phone will easily slip from their hands and you will end up with the broken screen. You might have to deal with the motherboard damage in this case. It is better that you cover your phone properly. The accident with phone that is hard to believe is phone hit by arrow or gunshot. However, there are many individuals who have to deal with the situation once in their life. It commonly happens when you are at the camping site. There are many other hunters who will not know about your presence. You take out the phone to check the map and it ends up with the arrow or bullet. However, there are chances that your phone will protect you by taking the shot. The material of phone can stop the arrow from reaching your body. It means that you do not have to suffer from any injury. When you are on hiking or camping trip, you have to be ready for the monkey attacks. Monkeys like to take away all the attractive things which they like. They will take away all your food items, water bottles and some interesting gadgets that you have. In case you have left your phone in the tent, be ready to say goodbye to it. Monkeys will not only take away the phone. They will have one playing with it and teasing you. In the end, they will throw it from the treetop or into the water. It means you will never have your phone back. We often drop our phone. Sometimes it is a minor drop and nothing happens to the phone. However, sometimes we the phones drop from the top of the building and nothing is left of it. The most frustrating situation is when your phone drops from a minor height. When you will pick up the phone you will notice that the screen is broken. It is irritating because there was no chance of a broken screen. It happens because the impact on the phone was high. There are chances that your phone was not shock absorbent. When the phone is in the purse you are sure that nothing will happen to it. Just imagine you will take out the phone from the bag and you notice that the screen is broken. It can happen because of many different reasons. The purse fell to the ground and something hard like keys touched the phone and broke the screen. You accidently sat on your purse and the phone was under your buttocks. It was not tough enough to bear your weight. You threw the purse on the floor and the phone can in direct contact with the floor. You gave your phone to the kids. It means that you should get ready for the accident with phone. Kids will surely leave the phone on the floor. You are moving around the house and you accidently step on your phone. When you will hear the cracking sound the only wish you will have is not my phone. However, the damage is done now and you cannot say anything to the kids because it is not their fault. Do not worry because there is repair option for a broken screen. There is no need to learn how to break a phone, when you can easily get the repair services. There are many experts available in the market who can easily repair your phone. They will provide you the best services at the most affordable rate. There is no need to worry about the accident with phone anymore.